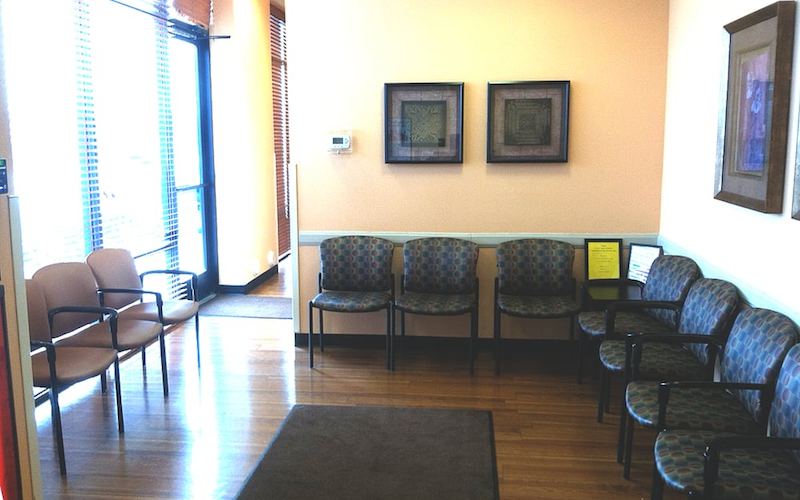 As part of the larger NextCare Urgent Care, this clinic has affiliates with the closest other clinic being in Woodbridge about 7.0 miles away and is open today from 8:00am to 8:00pm. Recognized favorably amongst their patients, NextCare Urgent Care, Dumfries has an average rating of 4.5 stars out of 5 based on 864 total ratings. I’m in the business of providing exceptional customer service and am compelled to share for review and response. Feeling ill today, I called out of work. Not something I can afford to do, but also don’t believe in spreading and affecting my team of co-workers. Knowing this is more than my usual seasonal allergies, I opted to call Nextcare this morning (4/16) to request if I could be seen today and when was the earliest time. I was informed there was no one waiting, but that could change at any moment and I could schedule a visit (WAHOO). I was offered 11a, spoke with C/S Rep, Eric. He confirmed 11a, then got my email and phone number. I had called my PMD to learn their office is closed this week for Spring Break and going to an ER is/would be an abuse of the health care system and their already strapped resources. It’s not an emergency, I just feel bad and needed to know if I had Strep. I asked if they could do a rapid Strep test. He confirmed they could as well as the regular Strep test. My appointment is at the Fettler Park address in Dumfries, VA. I arrived early at 10:40a ish to learn my appointment was for 6:00 pm. I was informed that they would be able to see me, though now I will have to wait (there were five others ahead of me). I recognize it is the season for colds, but my preference was to get in an get out so as not to be exposed to more and limit the wait time. Unfortunately, that is not the case. Knowing if I leave, my chances of being seen anywhere else, would also be longer. I am at your mercy. As a note, my thinking I was coming for care and learning it would be later was not comforting. Currently, my support structure is unavailable due to recent family issues, therefore I am solo in my care. I sound like I’m whining and due to how bad I feel, I suspect I am, but again you don’t go to an urgent care if you’re feeling well. Perhaps review the called in tape and provide some coaching to the Customer Service Rep. I do take responsibility of not reviewing my email and I understand errors happen, just want you to be aware of the human experience and how the patient experience affects their opinions of their visit. It could all change once I speak with the NP or MD, but for now, I’m not able to give a good review. Since I’m sharing, the receptionist is not wearing a mask and is holding lots of her tissues in her hand while coughing and sneezing. I’ve yet to see if she sanitizes her hands. I hope she is not feeling ill and working. I know the staffing issues health care is experiencing and having to work short is not ideal, but working ill should not be an option. At the start of my arrival when she wasn’t able to find my name, I thought I may have gone to the wrong place. She then found me and said that was not their error, I’d have to call Customer Service. This does not speak well of working together as a team. No apologies for the error (likely had their been, I wouldn’t spend time writing this up and giving you more to respond to). For clarity, there are two receptionist here. The Front Desk Receptionist I’m referring to is a Spanish/English speaking young lady and has two toned hair (blue and brown). A gentleman has just arrived (11:22) with an 11:30a appointment, I’ve been here 40+ minutes, let’s see how this goes. Does he go ahead of the room full of those waiting or does he join the choir and wait? (At noon, he was still waiting, as was I) I totally understand the wait, there are some people who are really sick and I get that, it’s the communication of processes, ownership and apologizes that should be incorporated into the practice. Unfortunately this is the type of response you get when the start of an experience goes bad. The physician was wonderful, through and kind. He listened and discussed the plan and throughly answered my questions. He alone is not the experience. I did give him a positive review, however clarity, communication, teamwork also added to the experience and should be reviewed. I appreciate you taking the time to read my complaints and I look forward to your response with actions shared. Arrived at appointed WAHOO time...11AM. Was taken into exam room at 12 noon. Was seen by N.P. at 1 PM. Everyone was pleasant, but, that did not help the fact that I waited for over 2 hours and was feeling pretty miserable. Excellent thorough care and the Dr. was awesome. He explained everything and answered all questions in a kind, patient and compassionate way. The Lab techican discourage me from entering the room with child under 13. She told me that the room was very small. The room had two chairs and a parent can simply stand in the lab booth. Not sure, but parents should be encourage to enter room with their under age children. I did enter the room, but the lab tech seemed uncomfortable with my presence. The faculty cost was great, but the experience wirh the lab tech was not professional. Had yo wait over 1.5 hr with an appt. I am grateful that Nextcare exists. They offered prompt, quality, professional services. Love Dr. Black. He explains things so well and is very kind. Had to wait 25 minutes after arrival for receptionist to run my insurance to check me in. I was first on list but 2 people went ahead of me despite my appointment because receptionist had to type a document first. She should have checked me in then worked on the document. The rest of the experience was great though. Great providers of care. The Dr. was very personal n really took the time to understand my illness. I’m most pleased.. The entire staff was nice and friendly dr. Black cared for all of my needs. First time visiting this facility. The staff were friendly and the doctor was great too. The staff and doctor took the time to listen and discuss treatment. Everyone was great.